The centenary today of International Women’s Day (8 March), is being marked with the launch of a BIG Lottery-funded film tackling the traumatic issues of violence against women in Zambia. The film has been part funded by Big Lottery Fund (BIG) which invests in projects that promote opportunities for women both in the UK and overseas. Camfed International is launching Hidden Truth, a film that tells the harrowing stories of five women who have suffered abuse at the hands of their partners, and shows the severe impact on the children who have witnessed this abuse. 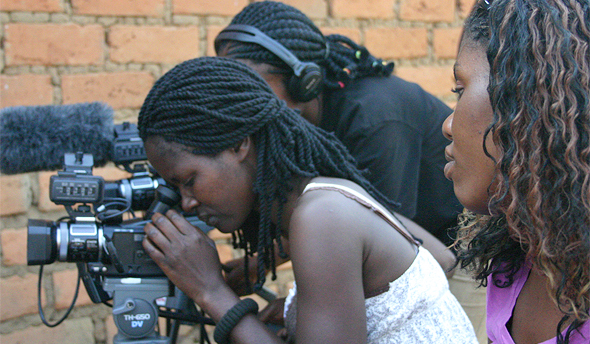 The inspiring and thought-provoking documentary was produced by disadvantaged women in rural Zambia who were trained by Camfed to become skilled filmmakers. The BIG-funded project has employed this emotive way of raising awareness of violence against women while at the same time empowering them through film. The film is part of Camfed’s four-year Combating Violence Against Women project funded through BIG’s International Communities programme. In 2007, Camfed International received £515,509 to tackle issues of domestic violence and sexual assault in Zambia, Zimbabwe and Ghana. Camfed’s project has already succeeded in increasing protection for women from gender-based violence, and engaged men in discussions and the championing of women’s rights. Camfed have also encouraged wider discussions about this often taboo subject and raised its importance across communities. Peter Wanless, Big Lottery Fund Chief Executive, said: “This sensitive film shows the real impact of domestic violence on the lives of women and their families. The issues that it raises are relevant to communities around the world, especially today – on the notable landmark of the centenary of International Women’s Day.